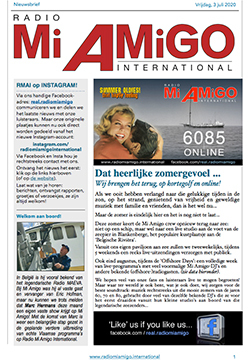 Every month we send out a regular newsletter to keep you up-to-date with what's happening here at Radio Mi Amigo International, Europe's fastest growing AM radiostation. FREE of course, no ads- just all the latest news as it happens, about our plans, DJ's and shows, schedules, competitions and much more. In case of special events we also send out news flashes. Just fill this short subscription form and you will never miss a thing!